"At the Arizona School for the Arts, creative expression is embraced by everyone who walks through the doors; including the bathroom doors! Interior Designer Anne Elizabeth Hamilton of Orcutt-Winslow explains that public toilet spaces for young people can be full of bold colors, variations in texture and pattern... and fun! Artcraft Granite, Marble and Tile Company, the tile installation contractor for the projects shown in this video, shares this conversation as part of Bathroom Blogfest 2011." Watch the video below or click on The Tiled Toilet Room - public spaces for youth to view the video directly on YouTube. Greetings! 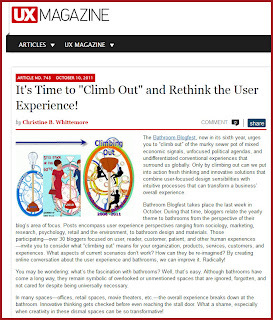 Today is the last official day of Bathroom Blogfest 2011 and blog posts on the subject of 'Climbing Out' continue. Yesterday was a glorious day for the Blogfest! Did you check out some of our participants' contributions? Emily Hooper - @FCNewsMag – from Floor Covering News Blog shows us how she is Climbing Out and Moving On. 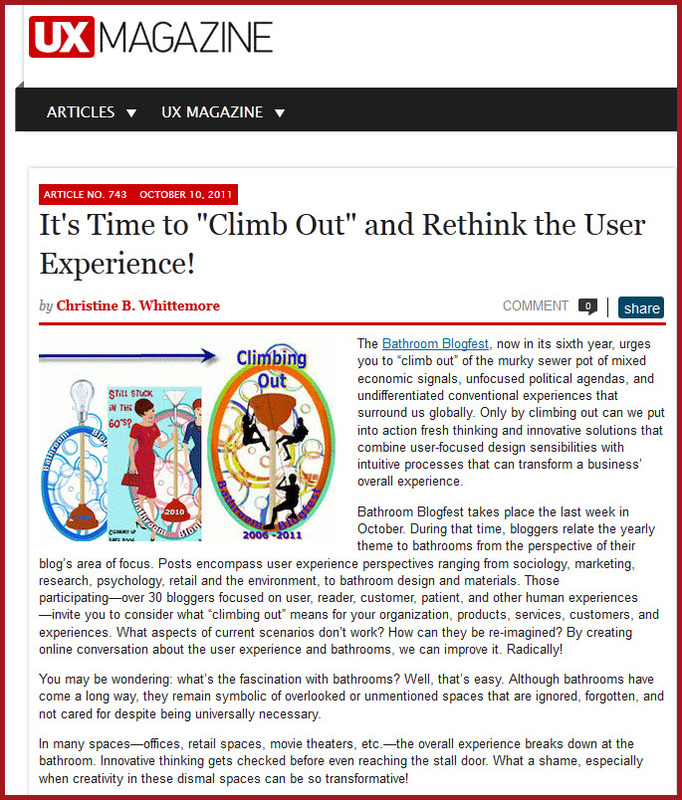 I can't wait to see what the next bathroom looks like! Chris Woelfel - @tileexperts – from Artcraft Granite, Marble & Tile Co. shares another interview with us about how Tile Transforms. Tile can transform any space. Just ask Bob Conover of Phoenix, Arizona. With the help of Interior Designer Annette Denham, and a variety of interesting tiles used in sophisticated ways, Bob has transformed his decades-old home into a contemporary, functional and beautiful respite. Artcraft Granite, Marble and Tile Co. brings us the story. To watch the video directly on YouTube, click on this link. I hope you'll explore all of these links. 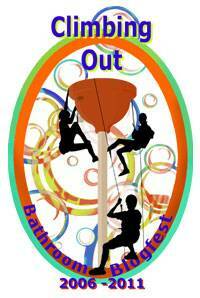 There's one more official day to Bathroom Blogfest 2011 with more blog articles in store.